Phuket Phi Phi is the tour you need if you want to see some first class scenery, check out the location of the Movie 'The Beach' with Leonardo Di Caprio in Maya Bay, Phi Phi Ley and enjoy a day snorkeling, sunbathing and lounging around. This is the premier tour from Phuket. 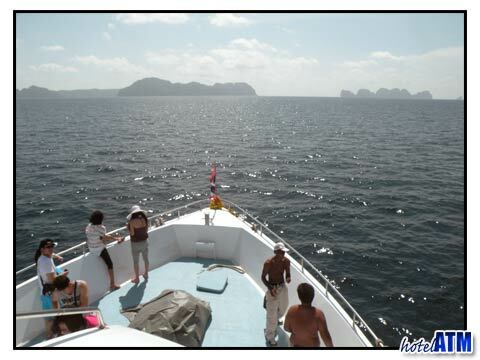 Phuket Phi Phi is 48 km or 1 hour 20 minute Cruise by Sea Angel or a 45 minute blast by a Koh Phi Phi Speedboat tour. Both these Phuket Phi Phi tours give a great view of the stunning island formations of Koh Phi Phi with the limestone cliffs, near perfect beaches and a coral and marine life filled sea. They do it, however, in very different ways. The Sea Angel Cruise takes it's time across the southern Phang Nga Bay, allowing you to savour the remarkable horizon of non stop islands and rocky outcrops. The tour on Phi Phi is a lot more leisurely and time is taken to look around the village as well as spend time on the famous Maya Bay Beach and get some snorkeling in. The Phi Phi Speedboat tour appeals to the adventure seeker, those that relish the wind blasting their hair, their sunglasses glued to their face, the rush of adrenaline that is speed. With speed you can get more done and start up at the isolated Bamboo Island and get a chance to explore northern Phi Phi Don. Phuket Phi Phi is a regular ferry crossing 365 days a year. Occasionally, and now even less so, the Marine police stop a crossing when a large storm comes through in Low season, (mainly June or September). The ferries are now no longer an issue for all except the once a year storms as those ferries are 3 times as large as they were in the year 2000. The main timetable for Phuket Phi Phi ferries is here but suffice to say there are smooth pickups from Phuket International Airport and Phuket Hotels to the Rasada Pier. The ferries depart at 08.30, 13.30 and 14.30. If you want speed and privacy for the transfer you can arrange that quite simply on the main phi-phi.com transfer page. This will get you your luggage to the Phi Phi Resort of your dreams in double quick time. 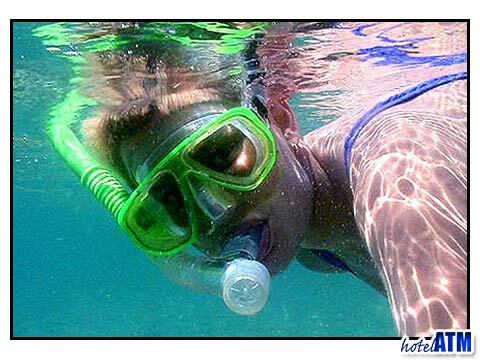 Diving is the last important aspect of the Phuket Phi Phi route. Apart from Koh Racha which is to the south of Phuket, the rest of the 'Phuket fun diving' is out towards Phi Phi Island or at actually at Phi Phi Ley island itself. The highly popular 3 dive day is Phuket Shark Point which is lucky enough to be 500 meters from a large 84 m King Cruiser Wreck and Hin Muang, a large rocky outcrop that doesn’t break the surface but is covered with anemone. Diving on Phi Phi Island is around the Phi Phi Dive sites near Phi Phi Ley and Koh Bida where the 15-18m minimum depth make for excellent diving. The dive boats leave the specialist dive pier at Chalong on the South east corner of Phuket.